Is Uber going to build self-driving cars? However, it seems that Uber is not only relying on Tesla or other OEMs to build the car for them. Recently Uber has invested in a couple of areas that indicate their potential interest to build their own self-driving cars. First, Uber set up shop close to the Carnegie Mellon University’s robotics center in Pittsburgh, USA, in January 2015. From there they went on a hiring spree to get more than 50 people of the top staff from the robotics center for their newly set up subsidiary. Later on, Uber and Carnegie Mellon University announced that they will form a strategic partnership, with “focus on the development of key long-term technologies that advance Uber’s mission of bringing safe, reliable transportation to everyone, everywhere”. This was not the last new development, though. In August 2015, Uber announced that it will partner with University of Arizona for self-driving car research. Uber has signed a partnership with the University of Arizona focused on research and development in the optics space for mapping and safety. We’ll work with some of the world’s leading experts in lens design at the University to improve the imagery we capture and use to build out mapping and safety features. 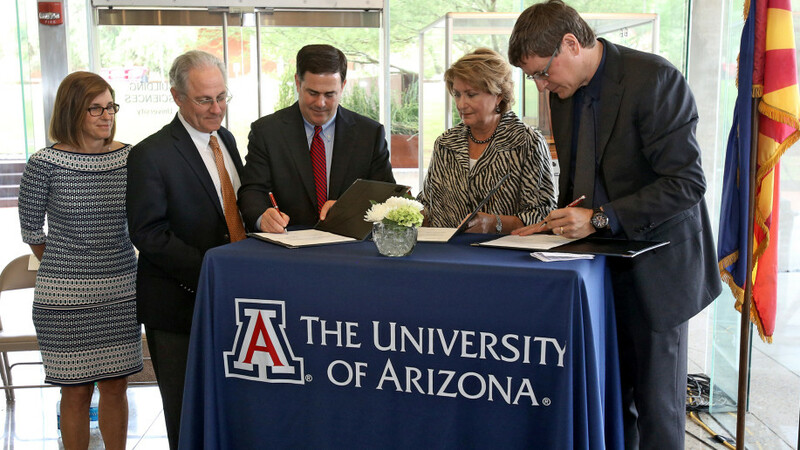 As part of this partnership, Uber will also be donating to U of A’s College of Optical Sciences — supporting the next generation of optical scientists and engineers as they make new exciting breakthroughs. I am not convinced that we will see a self-produced Uber car on the road, though. There would be much more invest needed in order to get to be able to produce a working car than just forming strategic partnerships and investing in knowledge. The necessary asset invest would be huge as well, completely going against the current Uber model. However, it is a good way for Uber to keep all strategic options open. They could, for example, partner with an existing OEM sometime in the future and add additional engineering capabilities to make sure to get exactly the right car for their future “driver-less” business model.